Welcome To The Gold Coast! 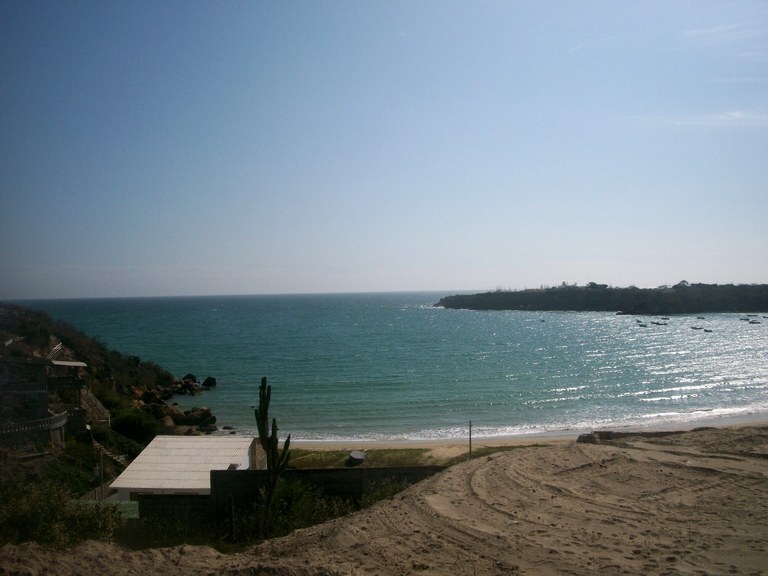 - Condominium Spondylus Sits In The Center Of The Costa de Oro! 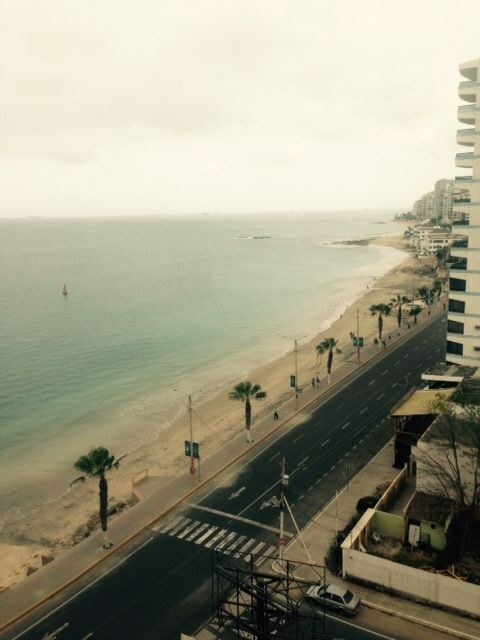 Costa Bella 4B: 3 bedroom/2 bath rental right on the malecon! If you need lots of space this is your place. 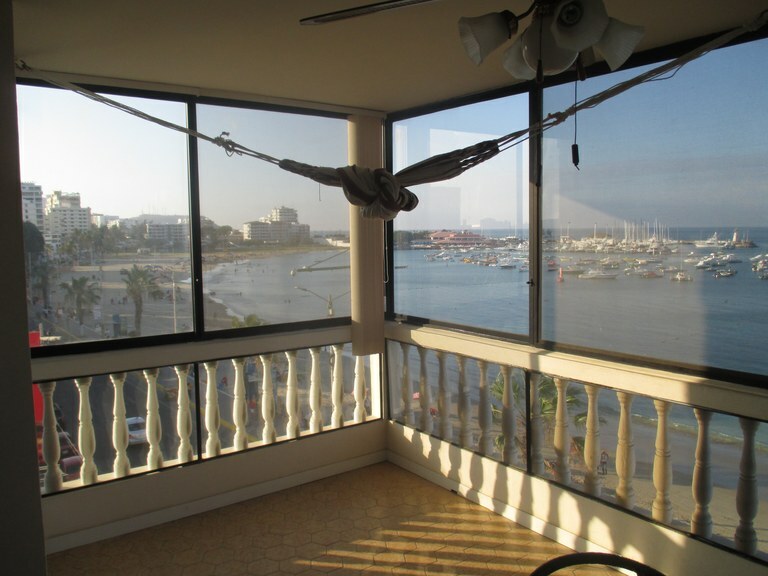 There is a huge living room and dining room with great views of the yacht club and the Salinas Bay. All three bedrooms are spacious with large closets and an AC unit. The bathrooms have been updated and have granite countertops and seats in the shower. 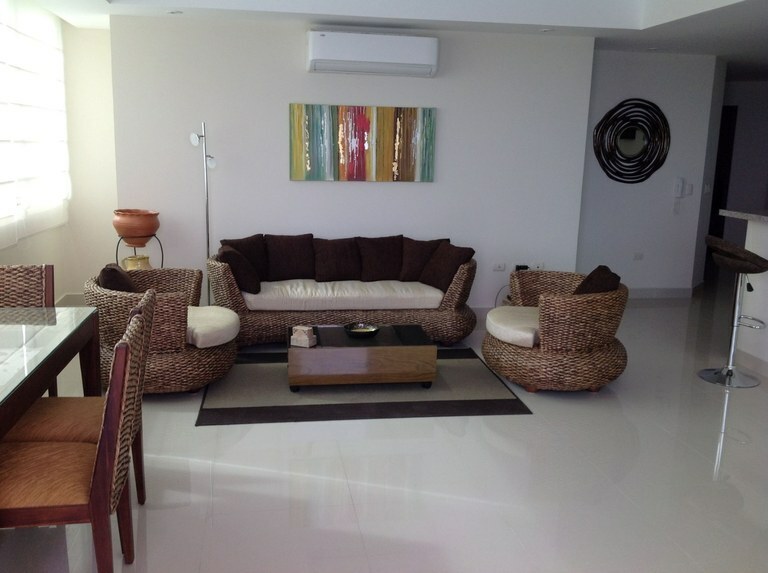 This apartment sleeps up to 7 people comfortably and available for short and long term rentals. The Ultimate Ocean Front Entertainment Home! : Three Floors Of Outdoor Living and Entertainment Space. REDUCED $280,000.00!!! Walk through the beautifully landscaped and custom-finished front door to a newly renovated home that stretches all the way to the ocean. The massive living and dining area are designed for entertaining! This home features a large gourmet kitchen with double ovens, granite sinks, a dishwasher and a wine fridge. The large pantry features large pull out wire shelves for easy access and organization. There are three floors of outdoor living and entertainment space! 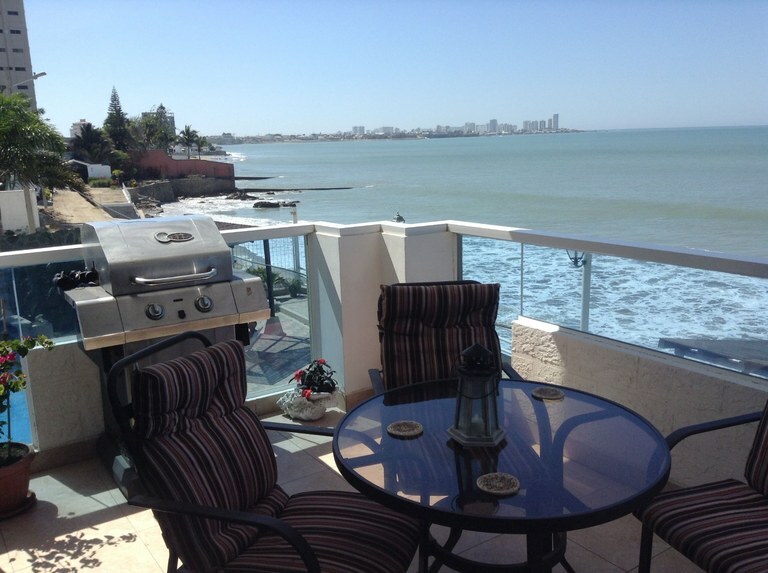 The first floor balcony extends the kitchen and living areas right out to the beach! This home truly places your toes in the sand! The second floor terrace includes a bar, a cozy seating area and an ocean front plunge pool and spa. The spa has lounge seating for those romantic nights. The slate fountain, teak and bamboo finishes on the rooftop add an earthy texture to this beautiful outdoor seating area. A second bar with space for a refrigerator will keep your guests refreshed while they bask in the rooftop sun. Renovations completed in 2014 include extensive high end finishes and unique lighting throughout the property. The creative lighting adds drama as the sun drops into the sea! The master suite is a sanctuary on the second floor with an entire wall opening to the terrace and pool. The master bath is huge with separate shower and an oversized tub. Other features of this home include an oversized two car garage with extra storage space (838 square feet). A security system protects the entire property and there is a separate guard house with two bedrooms, a bathroom and air conditioning. This is a home to be enjoyed with your friends and family! Two story, three bedroom four bath home including two master suites! 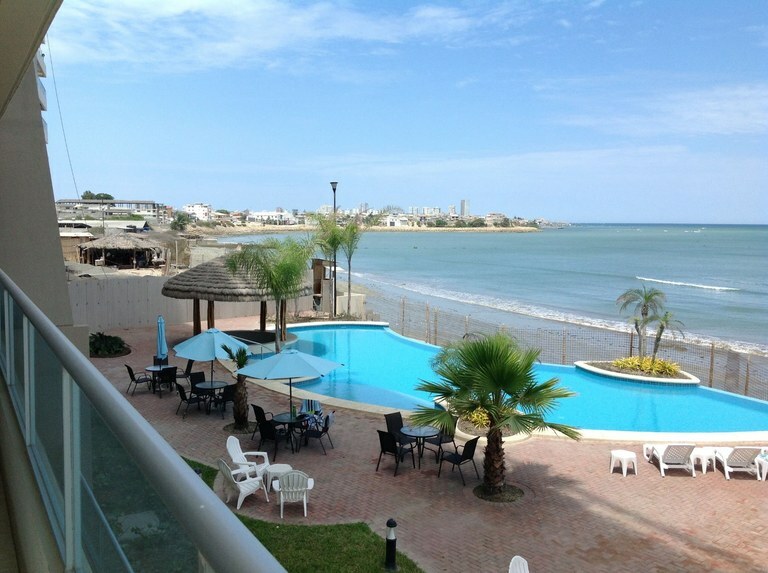 Gorgeous condo located on the outskirts of Guayaquil on the way to Salinas and the rest of the coast. This 9th floor rental's views will blow you away. The open kitchen and living are spacious with plenty of comfortable seating and is very tastefully decorated. 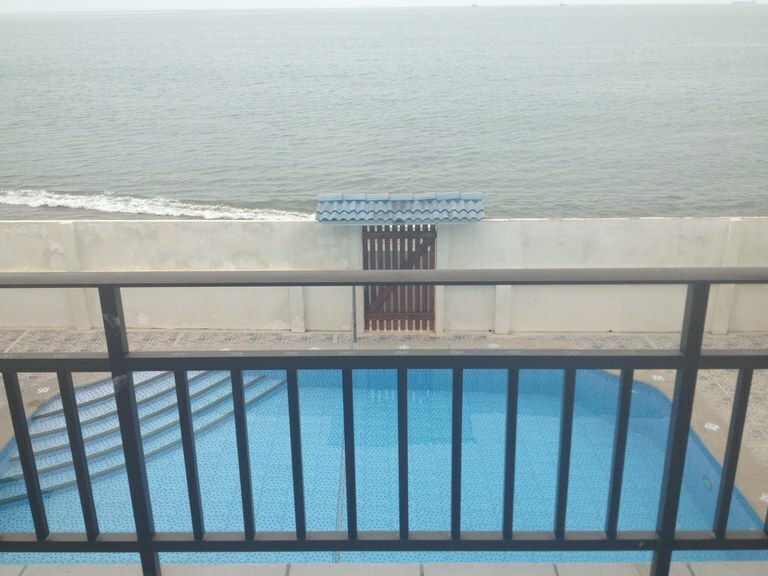 The balcony has views of the entire Salinas malecon and a table with seating for 6. There is hot water throughout. There is a small bedroom off the kitchen with its own full bath and sleeping for 1 couple. The back bedroom has a bunkbed as well as a double bed. There is parking for this apartment close by in a secure parking lot. 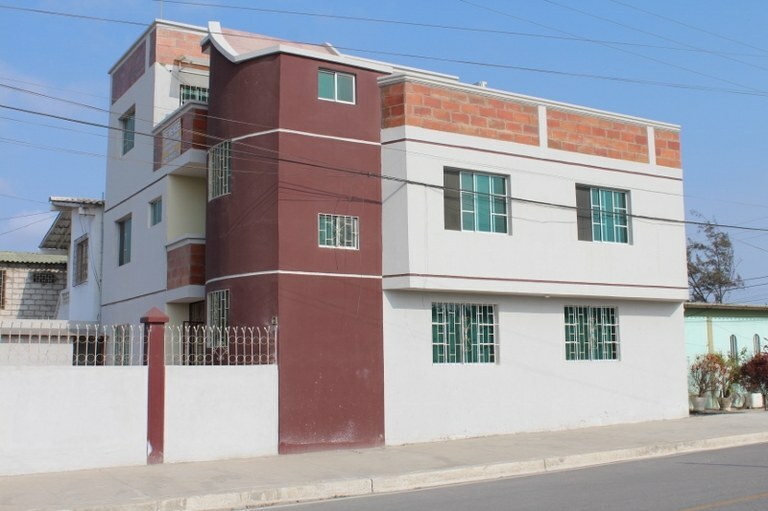 Ciudadela Puerta del Sol, Salinas: 3 Story Home or 2 Apartments and a Suite in a Gated Community! 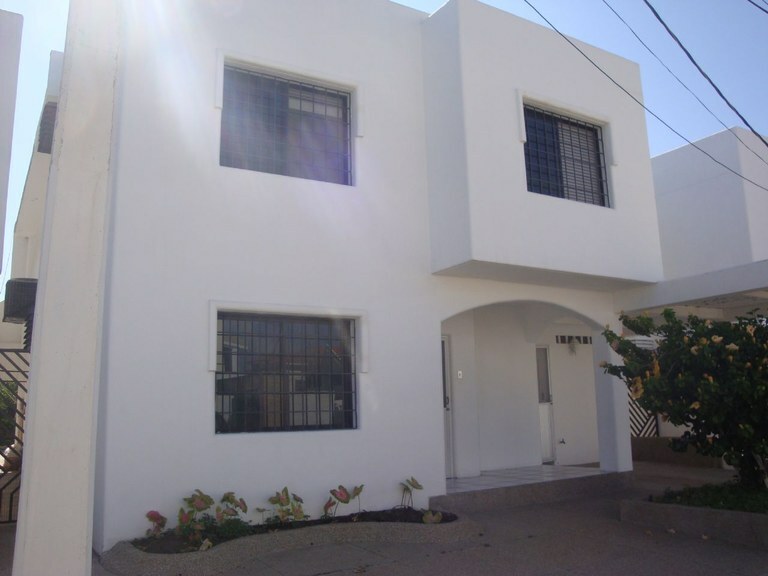 This 3 story home is actually 2 separate full apartments and a small suite on the top floor off of the large terrace. 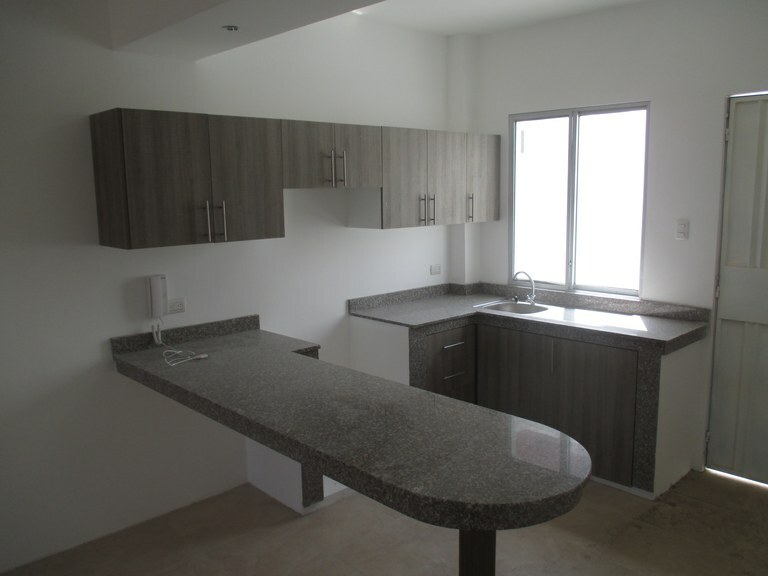 Each apartment has a full kitchen area and their own entrance. 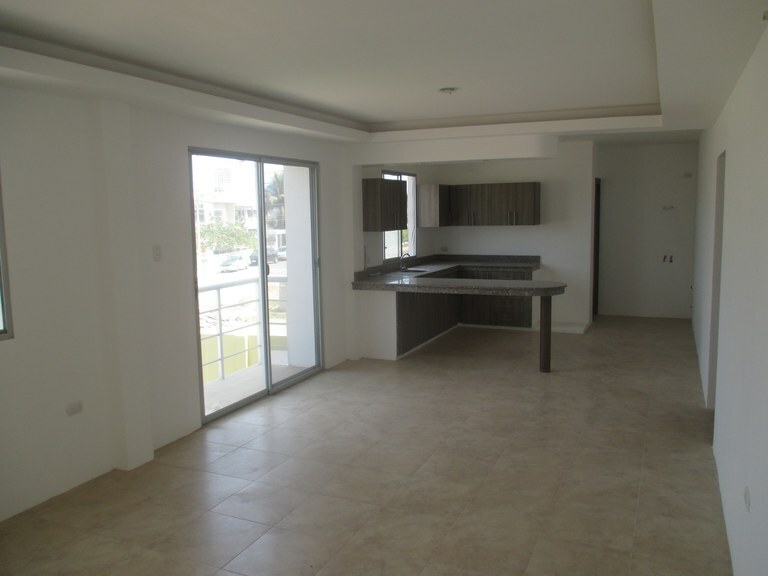 The ground floor apartment has 3 bedrooms, 2 bathrooms, a living room and american style kitchen. 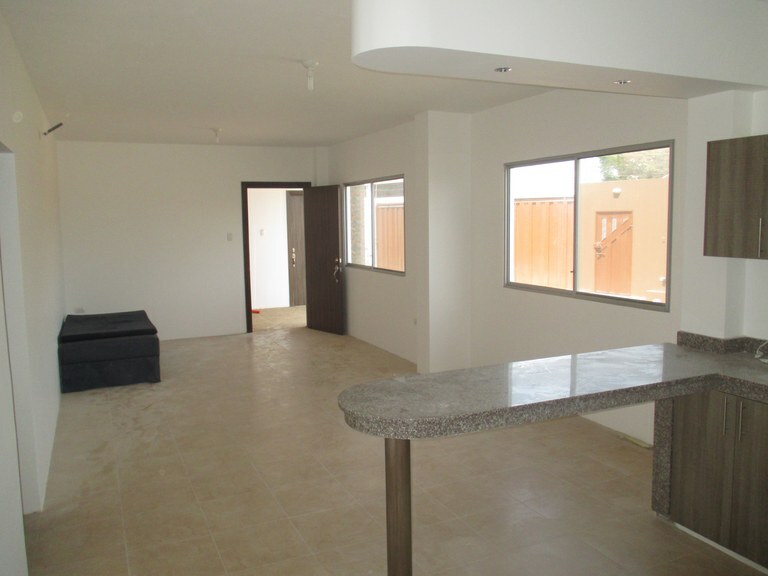 The 2nd floor apartment has 4 bedrooms, 2 bathrooms, a large kitchen and living room. 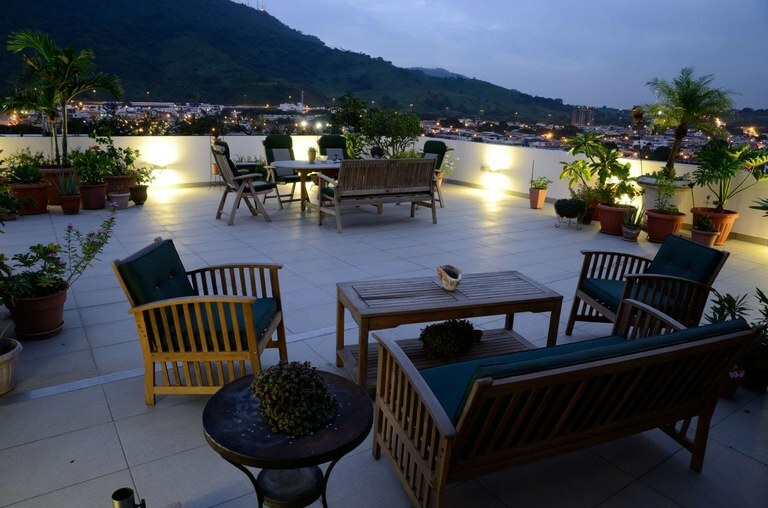 The third floor is the covered roof top terrace where there is a small suite with 1 bathroom. 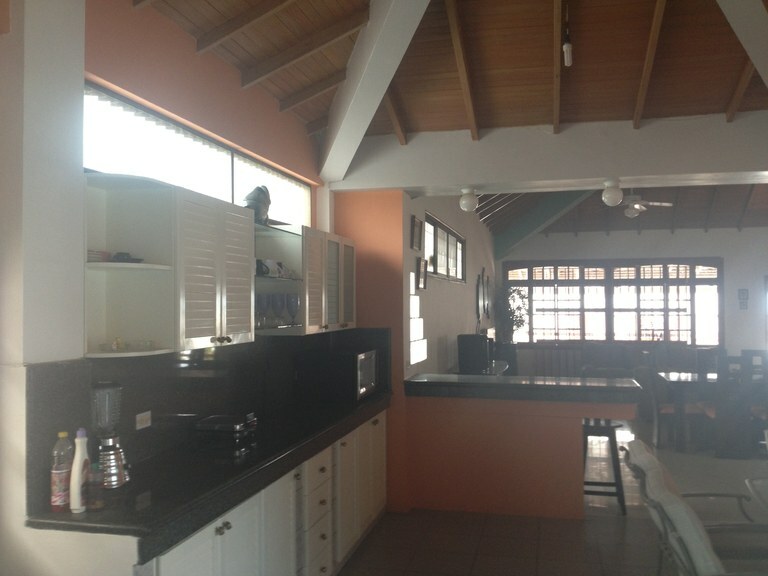 There are 2 laundry areas and parking for 2 cars inside the walled and gated property. 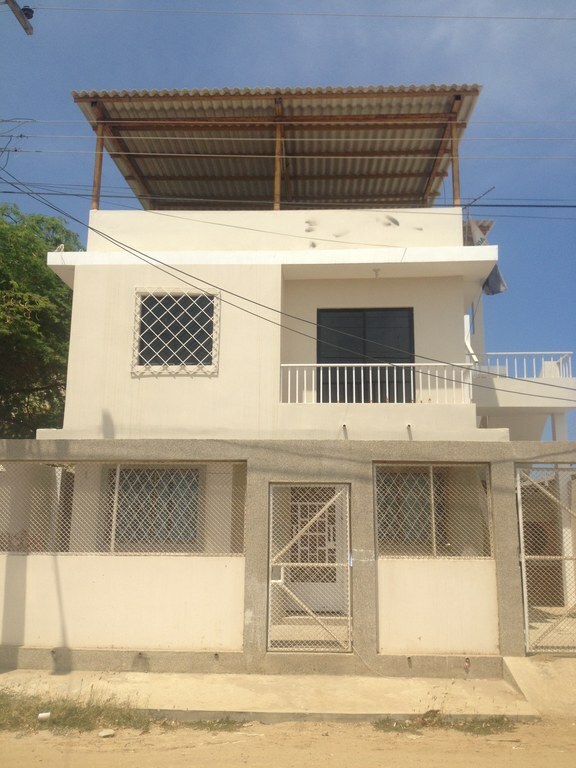 This home is a 3 minute walk out to the main road between Salinas and La Libertad where there are ample busses and taxis. It is 10 minutes by cab to Salinas and 5 to either Supermaxi or El Paseo Shopping Mall. 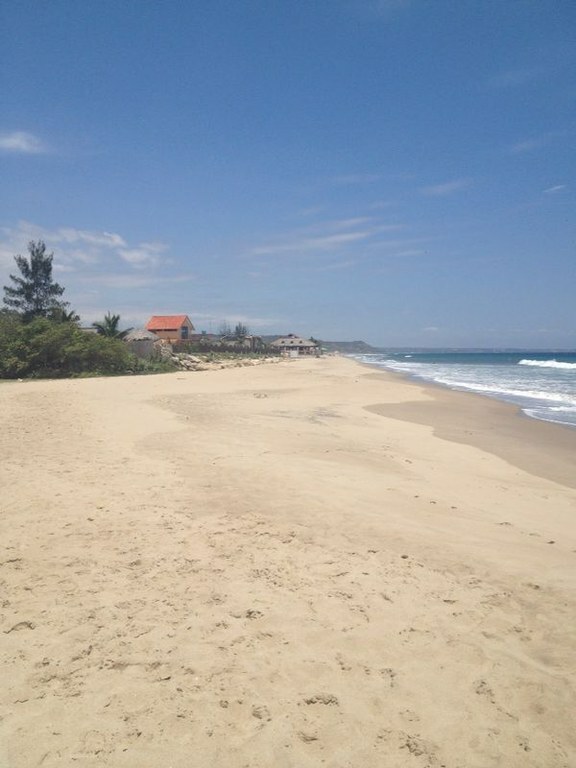 Across the main road and a 10 minute walk down a paved road is the lovely beach Playa Dorada. 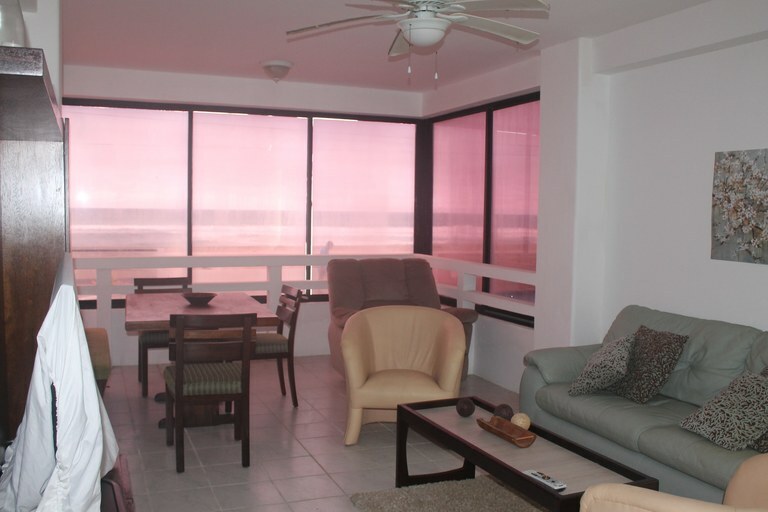 This fully furnished and move in ready Condo in Punta Carnero, Salinas has 2 bed rooms, both furnished and 2 baths with everything included. There is a fully appointed kitchen with all appliances and granite counter tops, washer and dryer in the laundry room. The living room has comfortable seating and large sofa and a new 55 inch television. The dining area has ocean views. There is 1 parking space and a storage closet right outside the back door. This is a beautiful, well furnished 6 bedroom, 7 bathroom, 2 story house in a small compound with 1 other house and 2 small suites. 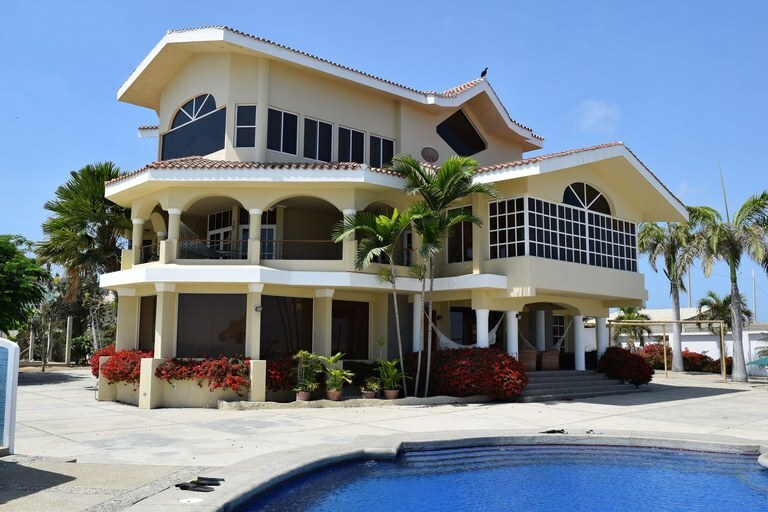 The house for rent has a large upstairs living room and kitchen with a deck that overlooks the communal pool area and the private door leading directly onto the beach. The airy kitchen shares a countertop with the dining area and the comfortable living room. With lots of wood trim and a glass chandelier this house is definitely a cut above most rentals! Every bedroom has its own air conditioning and bathroom, spacious closets and is well furnished. The laundry room, located downstairs, has plenty of room to work and enough space to hang dry your clothes, out of the damaging sun. There is parking for 2 vehicles in front of the house, inside the secure walls. Should you need more space there are also 2 suites that can be available for an extra charge. 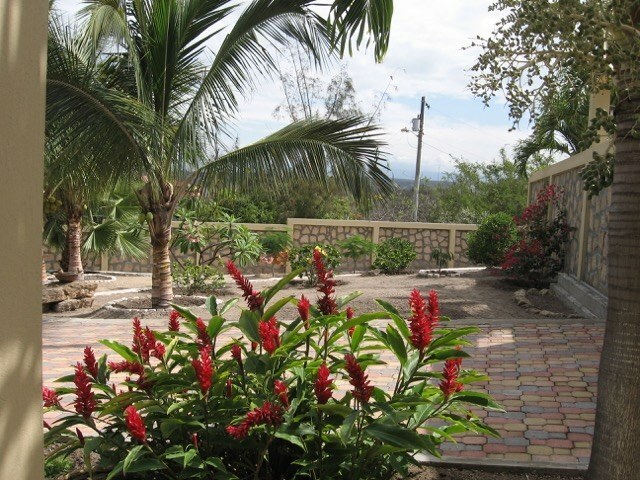 Located just minutes from La Libertad and 10 minutes from Salinas this house is in a very quiet neighborhood with a great uncrowded beach. 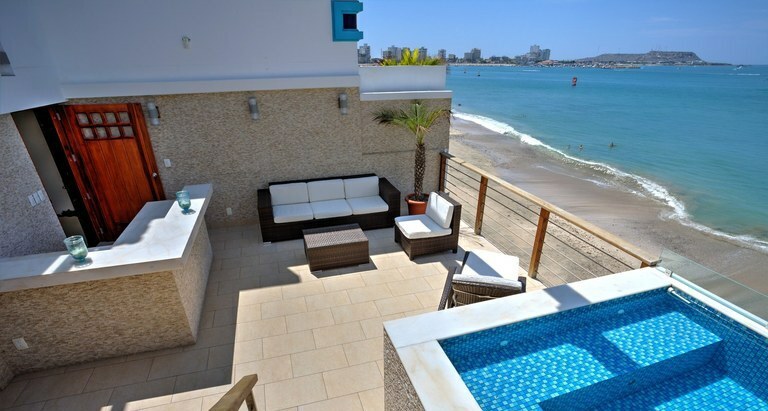 This recently remodeled house on the beach in Costa de Oro is only 15 minutes from Salinas but in another world! Beautifully furnished, with vaulted ceilings and an open floor plan this house feels spacious and airy. The kitchen has beautiful granite countertops. The master bedroom is huge with a king sized bed and a walk in closet. The patio in front of the house has 2 hammocks, 2 tables a great BBQ area the the fence folds to give nearly unobstructed ocean views! To the right there is a communal pool area. Through a private gate you walk directly onto a beautiful, uncrowded, quiet beach! All this is inside of a secure, gated community with plenty of parking. Alamar - You will feel like you are staying in a 5 star hotel! Walking into the building the first thing you will see is a 5 star hotel style lobby where there is comfortable seating and internet available. Just out side are the pool and spa facilities as well as the excursive room. Taking the glass elevators up to the 5th floor you have ocean views. 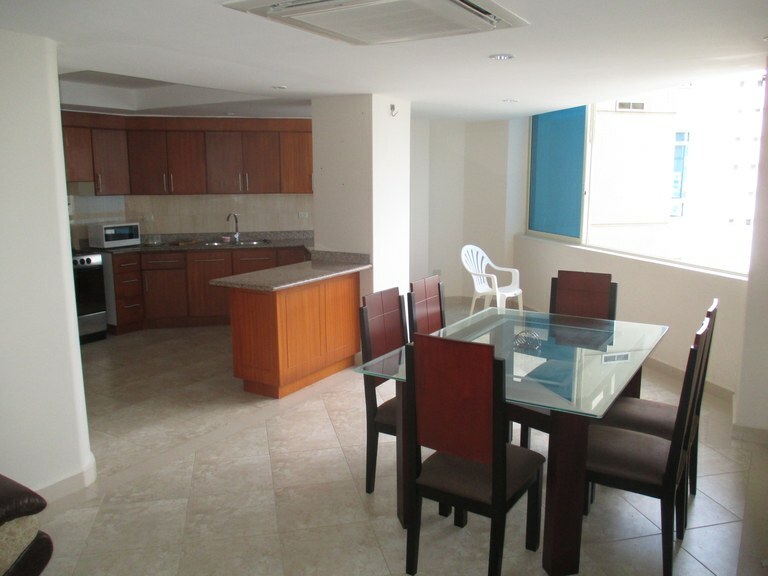 enter the apartment and you look out the large living room window and have a view of the Salinas Bay. The kitchen is spacious with tons of granite countertop space. There is an attached laundry room that doubles as a 4th bedroom with private bath should you need it. 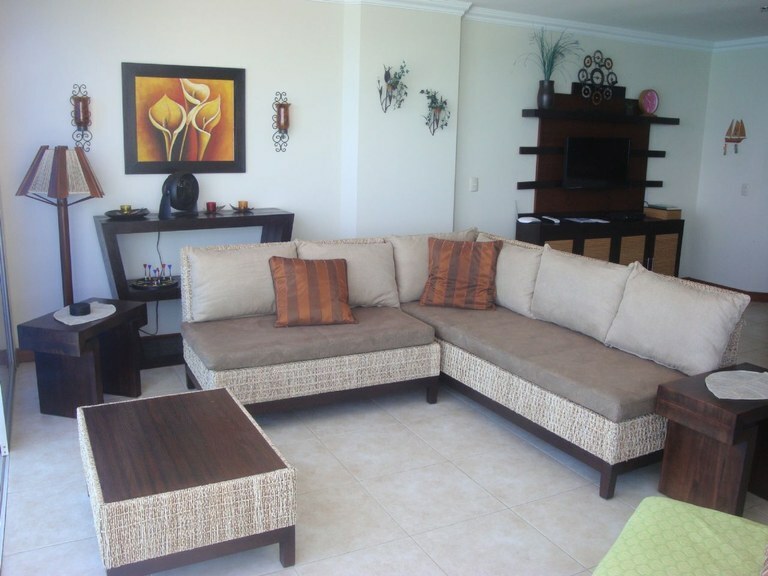 The dining room has seating for 6 and the living room is tastefully furnished with a seperate area for watching TV. 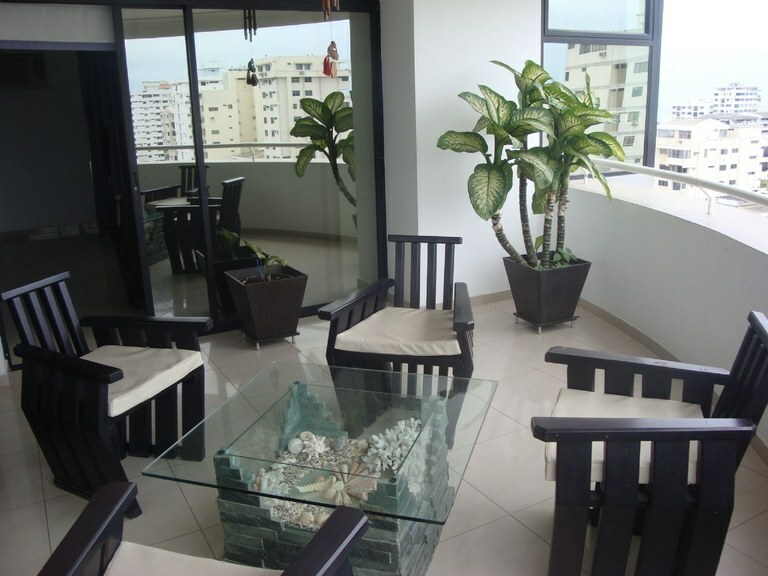 This condo has high speed fiber optic internet and prepaid Direct TV. Every bedroom has ample closet space, a modern air conditioner and new mattresses. The master bedroom has a private bathroom while the other 2 bedrooms share a bathroom. Both bathrooms have actual bathtubs! This apartment now has high speed fiber optic internet installed. Popular Model in Brand New Building! 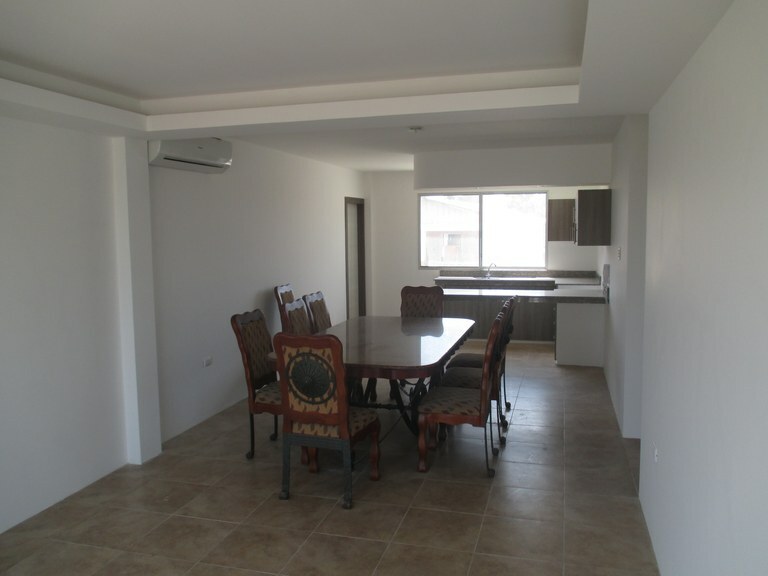 Edificio Dorsco Apartment 2B: 2nd Floor New Apartment with a Pool! This upstairs apartment is brand new, never lived in and built to true American standards. Lots of windows, a huge kitchen open to the living room and a private patio were built to make this feel like home. All three bedrooms have large built in closets, dressers, hook ups for cable TV and AC units. The apartment includes a parking space inside the secure courtyard with a pool, pool shower and bathroom. This apartment is brand new, never lived in and built to true American standards. Lots of windows, a huge kitchen open to the living room and a private outdoor area for laundry were built to make this feel like home. All three bedrooms have large built in closets, dressers, hook ups for cable TV and AC units. The apartment includes a parking space inside the secure courtyard with a pool, pool shower and bathroom. 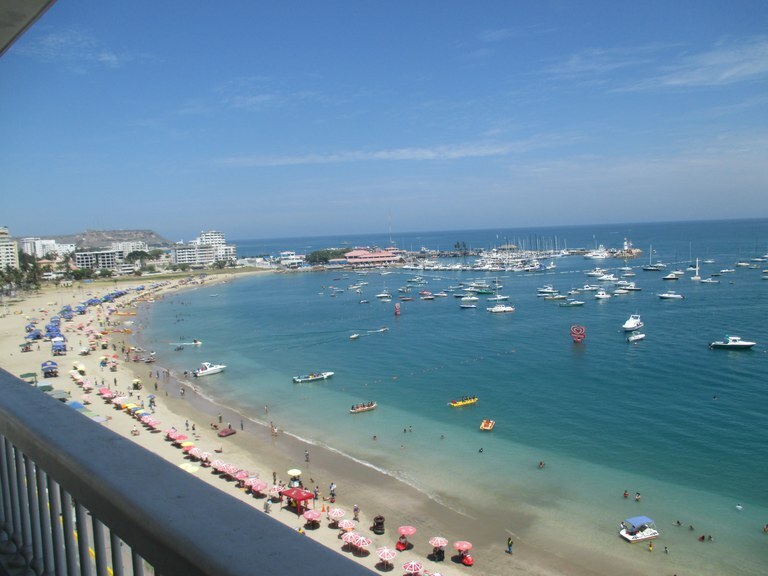 Two bedroom, two bath condo in a private gated community on the beach! 4 Bedrooms and 7 Baths with a 360 degree view of the entire peninsula. Located in the Phoenix with open floor plan and huge bedrooms all with balconies.